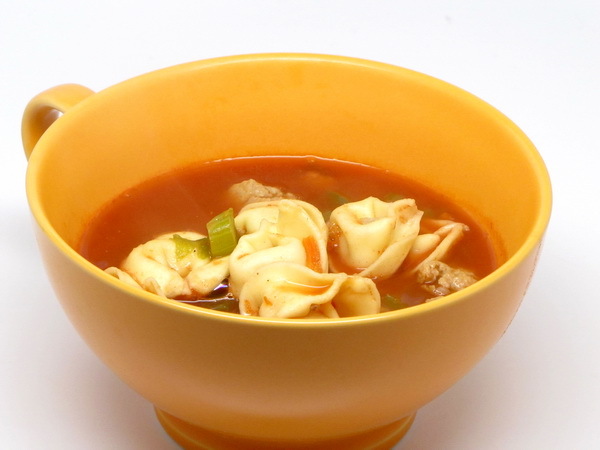 Cheese tortellini, even in smaller portions, are very filling and satisfying. This meal also packs in tons of veggies and a great sauce that sooooo does not say diet. It’s almost a pesto alfredo the way the sauce flavors combine. 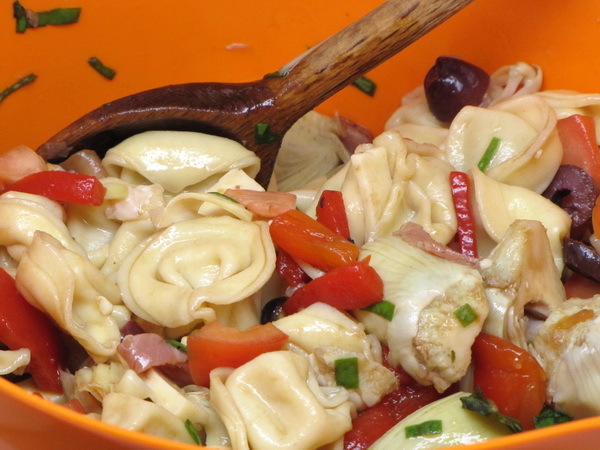 Cook tortellini and vegetables together in 3 quarts of water 7-9 minutes. Drain and place in a bowl. Combine sour cream, pesto, salt, garlic powder and pepper. 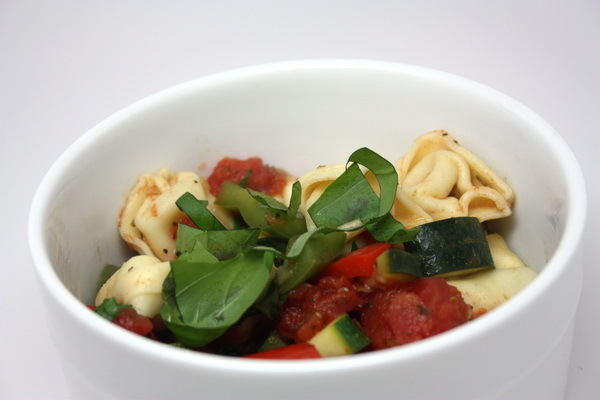 Stir into pasta and veggies. 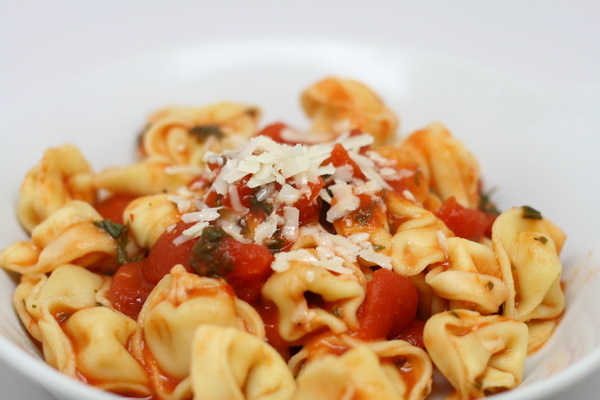 Sprinkle with parmesan cheese and serve immediately.